Carlisle food safety. There are over 250 different types of food borne illnesses. Each year, 48 million people get sick from contaminated food. That's one in every 6 Americans. 128,000 people are hospitalized and 3,000 deaths occur each year from mishandled food. But the most startling fact, is that these cases are all preventable. 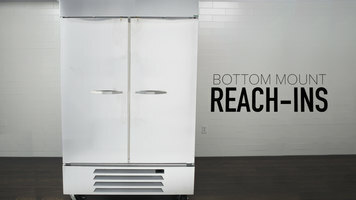 Food items that are especially at risk are those that are sensitive to time and temperature control, and foods that are ready-to-eat like lettuce, fruits, vegetables, and anything else that doesn't require cooking. The flow of food is complex. Understanding the way food flows through a kitchen is vital to identifying critical control points. A plan including color coding and NSF-approved food handling products can reduce the potential for cross contact and help reduce the threat of cross contamination. Easy access lids are a convenient and sanitary way to reduce unwanted physical contaminants from entering food in a prep area or buffet. 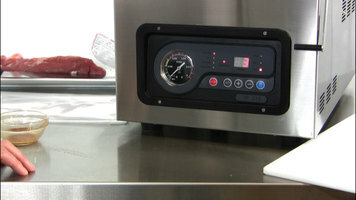 ColdMaster cold-holding food pans keep temperature sensitive foods out of the danger zone during operating hours. ColdMaster CoolCheck food pans even change color when the temperature is no longer foodsafe. Personal hygiene is also an important aspect of food. The sparta hand and nail brush cleans hands thoroughly, especially under the fingernails where bacteria collects. Carlisle foodservice products is dedicated to helping you maintain foodsafe practices. For more information, visit carlislefsp.com or reach out to us. This message has been brought to you by the Carlisle culinary team. Thank you. Handling food properly is imperative in a food service setting. Watch this video from Carlisle to learn about food safety products that can help prevent food borne illnesses. 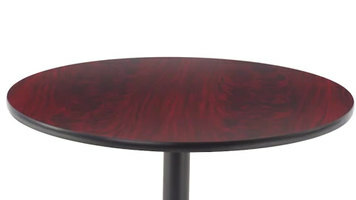 Flash Furniture's round table top is an extremely durable choice for your commercial setting; watch this video to learn more about its features! An ARY VacMaster VP 210 chamber vacuum sealer is great for marinating, pickling, preserving, seasoning, or any of your other sealing needs! It's easy to use and affordable. Plus, with this model, you can even vacuum seal soup!